Yanfen, her husband Xiaoyun and their two children, Kiana and Koby, live inside one bedroom of a four-bedroom home that they share with 10 other extended family members. Like many Portland families who experience rising rents, doubling up with other family members or friends is often the only way to make ends meet. Yanfen was introduced to Habitat by a friend and decided to apply to seek a stable home and better future for her children and family. She works as a waitress and cashier at a local Chinese restaurant. Xiaoyun works as a delivery driver. Their son Koby is an aspiring artist and practices Taekwondo. He recently won 1st place in his age category when he drew a poster for the Fair Housing Council’s annual poster contest. 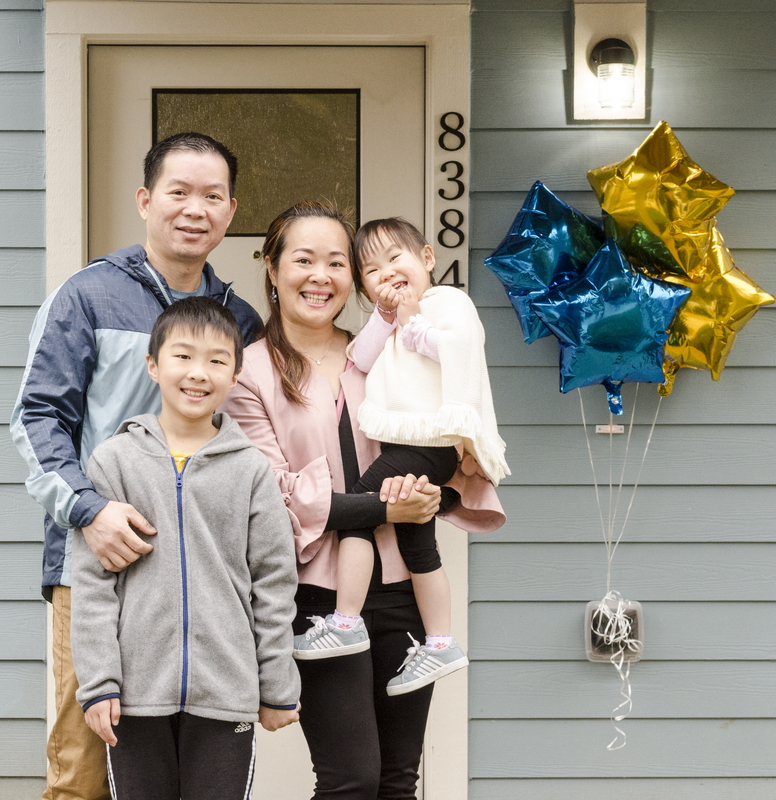 In late 2018, Yanfen, Kiaoyun and their kids will purchase their new three-bedroom Habitat home at Brooklyn Pines in the Jade District. Yanfen and Xiaoyun believe that owning their own home will provide stability and a better education for their children. “A good living environment can make them healthy and happy,” Yanfen said.